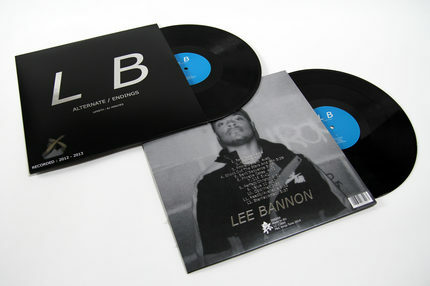 Lee Bannon's debut album, Alternate/Endings, is a riotous act of imagination. The young, Sacramento raised and NYC resident producer is the sort of character almost overwhelmed by inspiration, finding his drive via film and field recordings as much as in music. This lends his own work a sense of excitement and urgency that's as thrilling as it is rare. Having produced white-hot NYC rapper Joey Bada$$ - a moment he describes as pivotal - Bannon has spent the last six months working on his debut LP. The experience was a new one on all levels. Previously he'd made his music very quickly, and fleshing out a body of work over a length of time was a grander endeavour. Those months paid off in spades, and Alternate/Endings delivers on all the promise this young prodigy has shored up. The first surprise is that Bannon has moved away from hip-hop, and into drum n' bass and jungle. Inspired by both his youth in Sacramento - where d'n'b was huge - and the backdrop of 2013's jungle renaissance, via albums by Machinedrum and Congo Natty, Bannon too, has reinvigorated the form. This is drum n' bass in its most contemporary permutation; a furnace-hot future-blast of immersive atmospherics, deep bass and funk-ridden drums. Bannon references the work of Paul Thomas Anderson, and in particular There Will Be Blood, as inspiration in the making of the album. It makes sense; the album is drenched in changing, but equally powerful, often menacing moods. Requiem for a Dream was another touchstone, which goes some way to framing Bannon's haunting, beautiful sense of melody. Leftfield shaman Juan from Mars Volta played bass parts that ended up forming the basis for every song on the record, whilst friend and collaborator Black Atlass sings on "Phoebe Crates" and plays Reznor-esque piano on lead single "216." The field recordings that Bannon makes compulsively are used throughout, adding texture and depth to the record as a whole. Alternate/Endings is perhaps misleadingly titled. This is just the start.